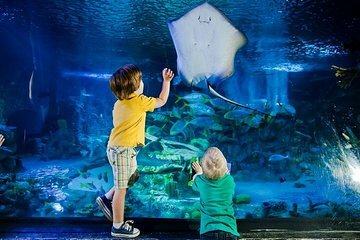 Combine admission to two popular London attractions: Sea Life London Aquarium and a sightseeing cruise on the River Thames. Discover 400 species of sea creatures at 14 themed zones displaying different marine habitats. During a hop-on, hop-off river cruise, you’ll view major landmarks such as Big Ben and London Eye. Cruise pass is valid for 24 hours and cruises depart every 30 minutes from four piers.